If a dog does eat mushrooms, the owner should induce vomiting if possible. SASKATOON — A veterinary toxicologist says several apparent dog poisonings in Saskatoon appear to be the result of the animals ingesting deadly mushrooms. Dr. Barry Blakley of the Western College of Veterinary Medicine says there are about 20 different species of mushroom that could potentially cause death, with six being more common. The deaths of two dogs have made headlines in the city; one who died after a walk around an off-leash dog park and another who was poisoned near a veterinarian office. 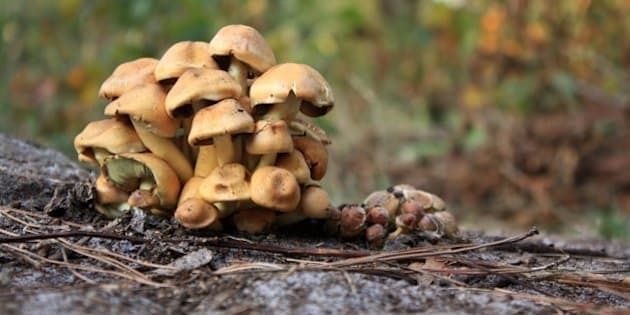 Blakley says identifying the mushrooms after they've been eaten is difficult, but other possibilities such as strychnine poison have been ruled out. He says the mushrooms can be toxic at very low doses. Blakley advises dog owners keep their animals on a leash or owners should take a walk around the park to try and pick any mushrooms spotted before letting their dog off leash. He says if a dog does eat mushrooms, the owner should induce vomiting in the animal if possible, and get the animal to a veterinarian quickly. "If they get to the dog quickly, they can save it. Quickly is probably less than an hour, half-an-hour is better," Blakley says.